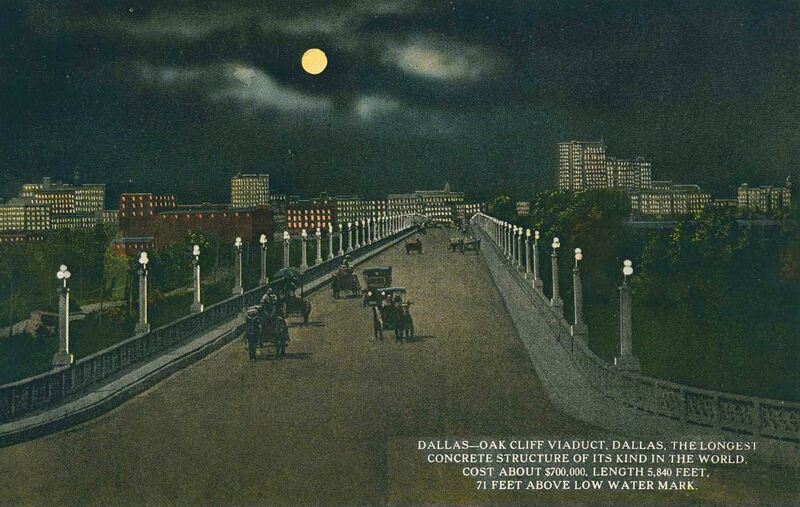 This is the third installment of a week-long look at the July, 1914 issue of the The Western Architect, which chronicled the impressive growth of Dallas. 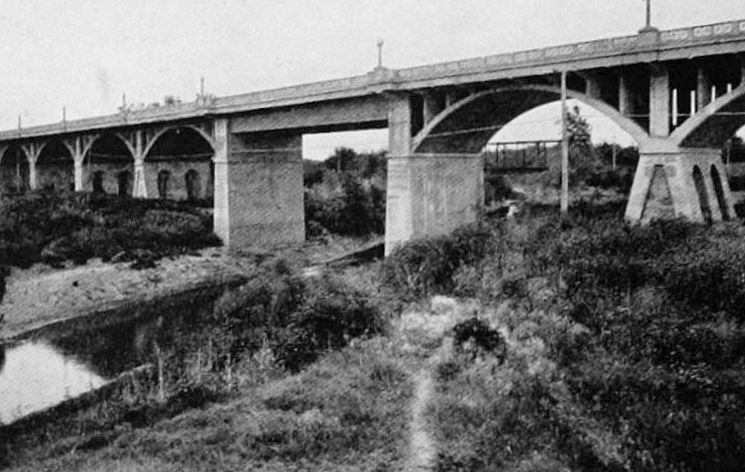 Today we look at sources of civic pride: from skyscrapers to the world’s longest concrete viaduct. 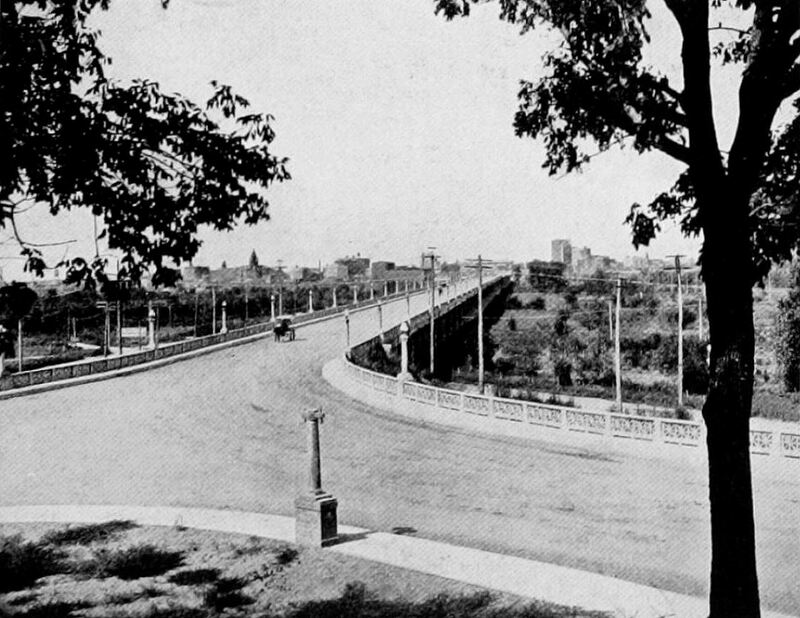 The black-and-white photos below appeared in The Western Architect — click to see larger images. 2. 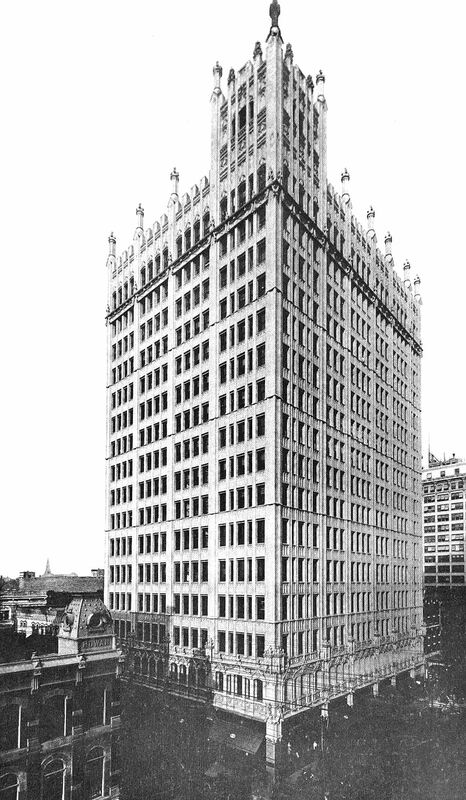 THE BUSCH/KIRBY BUILDING, northeast corner of Main and Akard, designed by Barnett, Haynes & Barnett (St. Louis)/Lang & Witchell (Dallas). 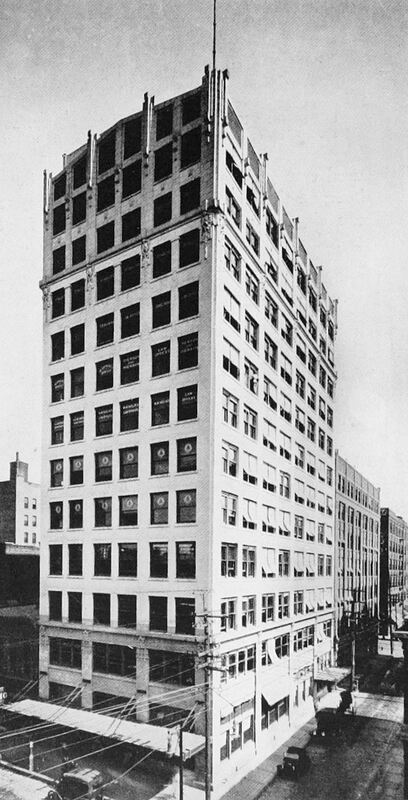 Built in 1912/1913 by Adolphus Busch, the first five floors were occupied for many years by the A. Harris department store, and the upper floors were leased by various businesses. 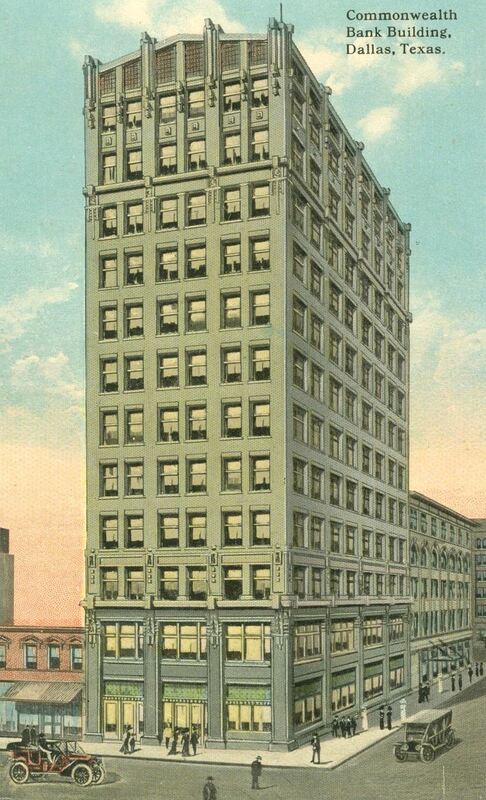 Buildings change names, and although it was built as the Busch Building, it later became the Great Southern Life Building, and, in 1922, the Kirby Building (when it was purchased by the Kirby Investment Co. of Houston, John H. Kirby, president). The building still stands, as The Kirby apartments. 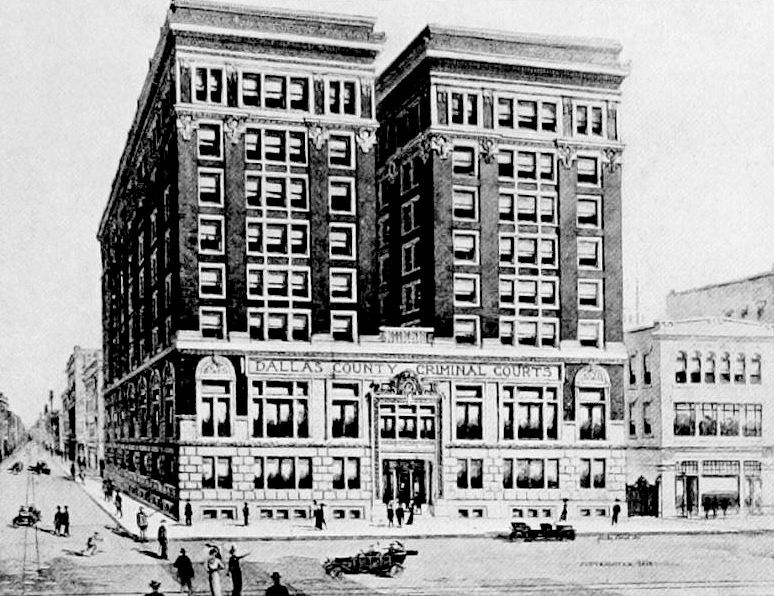 Fun facts: when work on the construction of the Adolphus Hotel was completed, the crew walked across the street to the new site to start work on the Busch Building. 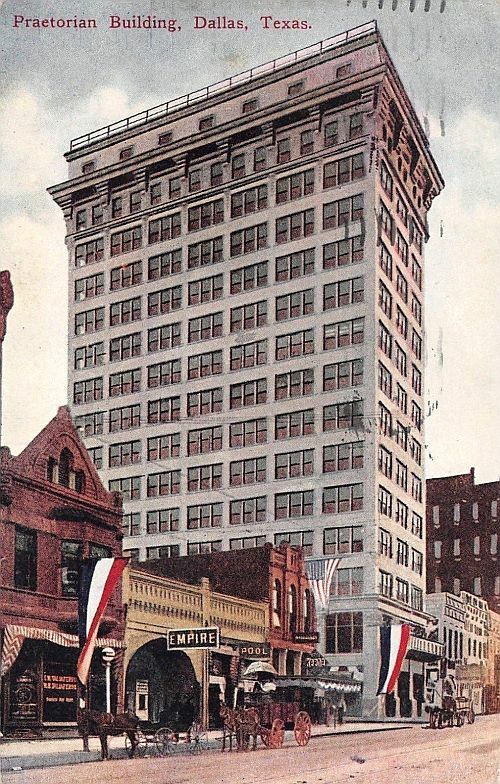 The first 5 floors were built especially for the A. Harris Co., but, sadly, Adolph Harris died before the store opened in November, 1913 (Adolphus Busch also died before tenants moved in). Busch, the German-born beer baron, had planned a rathskeller in the basement — a handy place to sell his beer — apparently there were laws at the time which prohibited the sale of alcoholic beverages below street level … so it became the A. Harris bargain basement instead. 3. 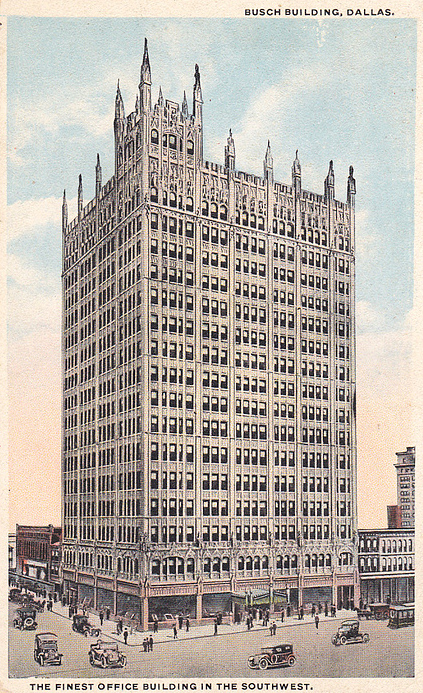 SOUTHWESTERN LIFE INSURANCE BUILDING, southeast corner of Main and Akard, designed by Lang & Witchell. 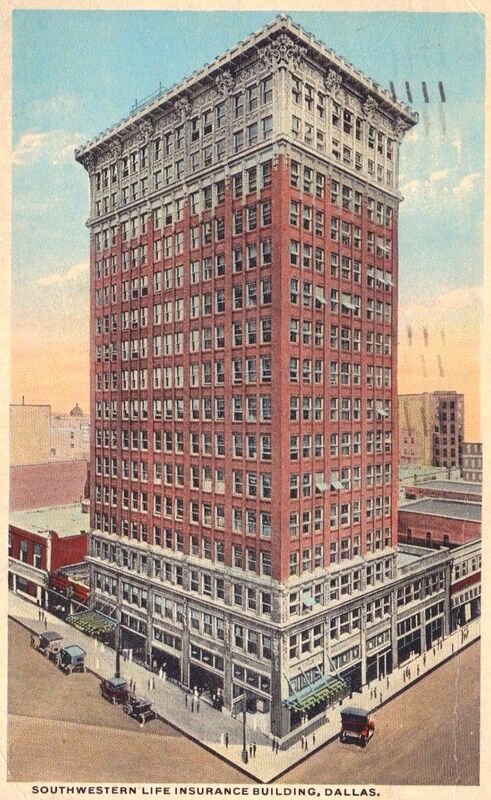 Built in 1911/1912, the Southwestern Life Building was described by architect Otto Lang as “dignified but not ostentatious.” In 1965 the building was bought as an investment by Bill Clements (who later became Governor of Texas), but was torn down in 1972, sold, and then paved over to become a parking lot for many years. The site is now occupied by Pegasus Plaza, an attractive greenspace. 4. 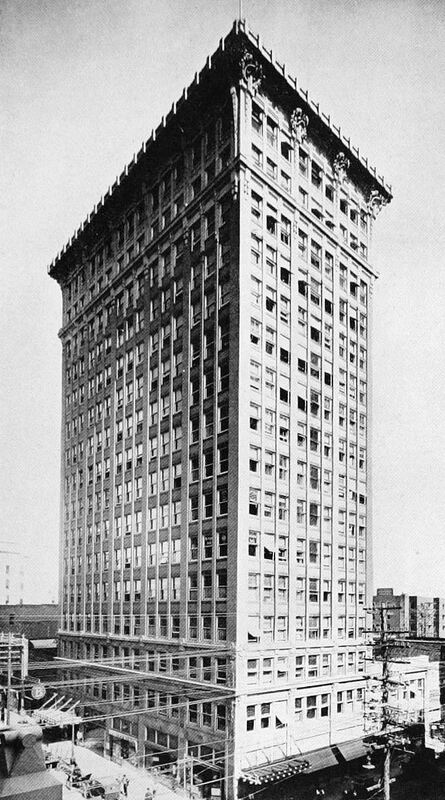 COMMONWEALTH NATIONAL BANK BUILDING, 1000 Main Street (southeast corner of Main and Poydras), designed by, yes, Lang & Witchell. 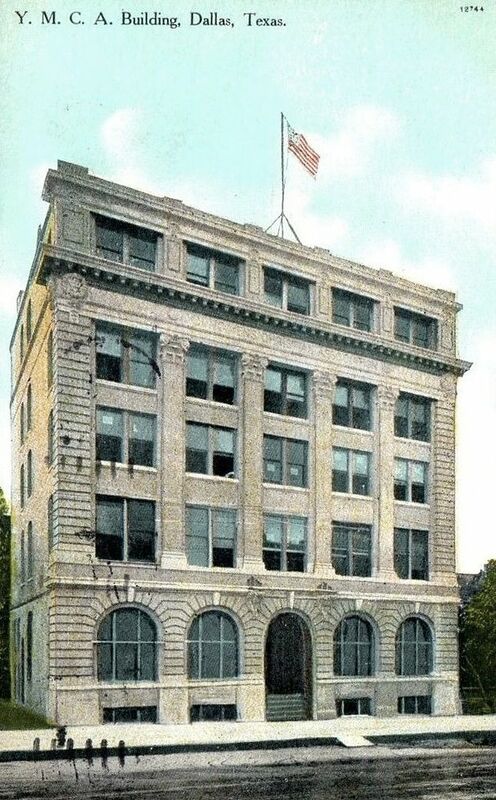 Built in 1912, this no-longer-standing building had a dizzying number of names, as the banks it was affiliated with kept reorganizing or merging and changing names. 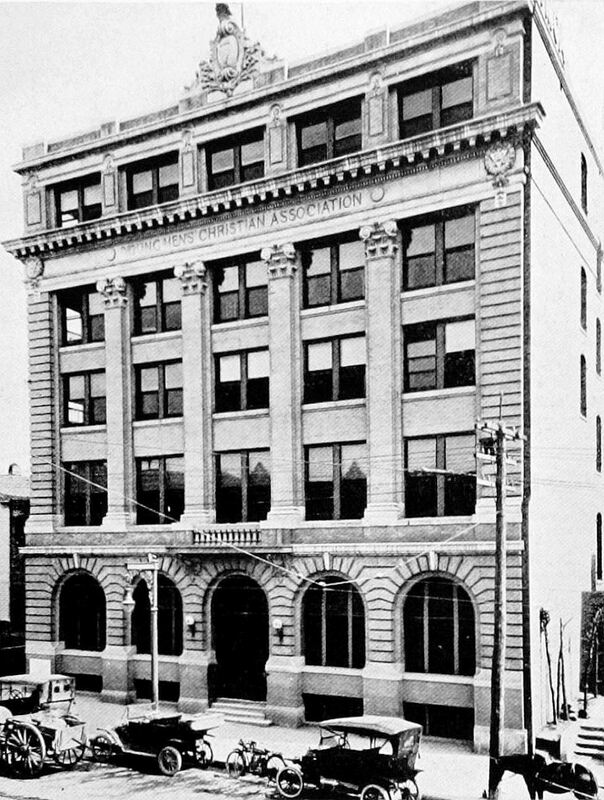 It was known for most of its life as the Fidelity Union Building until the Fidelity Union Life Insurance people moved to their new location at Pacific at Bryan in the early 1950s. 5. SCOTTISH RITE CATHEDRAL, 500 S. Harwood (at Young), Hubbell & Greene, architects. This stunning building was formally dedicated in 1913, almost seven years after its groundbreaking. It is still standing — and is a place I’ve always meant to visit. 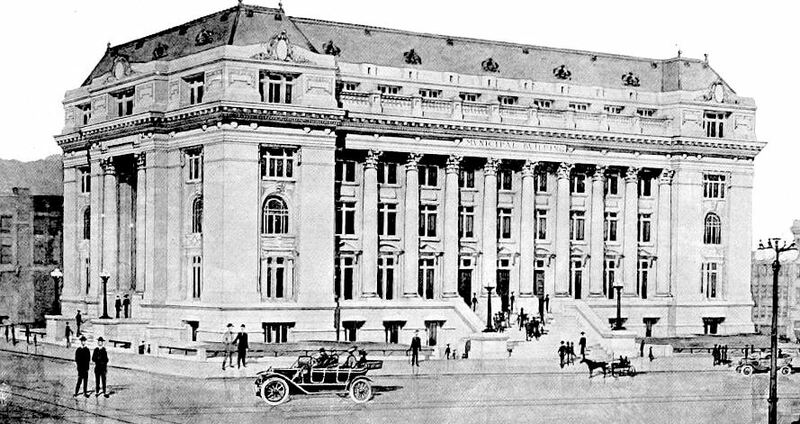 Money appears to have been no object in the construction and decoration of this grand building, from its hand-fluted columns out front to its sky-blue ceiling with stars painted in gold, its leather inlaid walls and its double-laned bowling alley in its basement. Not only did it have the largest performance stage in Texas, but it also had “easily the largest organ in America [with] 8,000 speaking pipes.” Read the incredible no-detail-too-small description of the building and its appointments by chief architect (and mason) Herbert Miller Greene here. 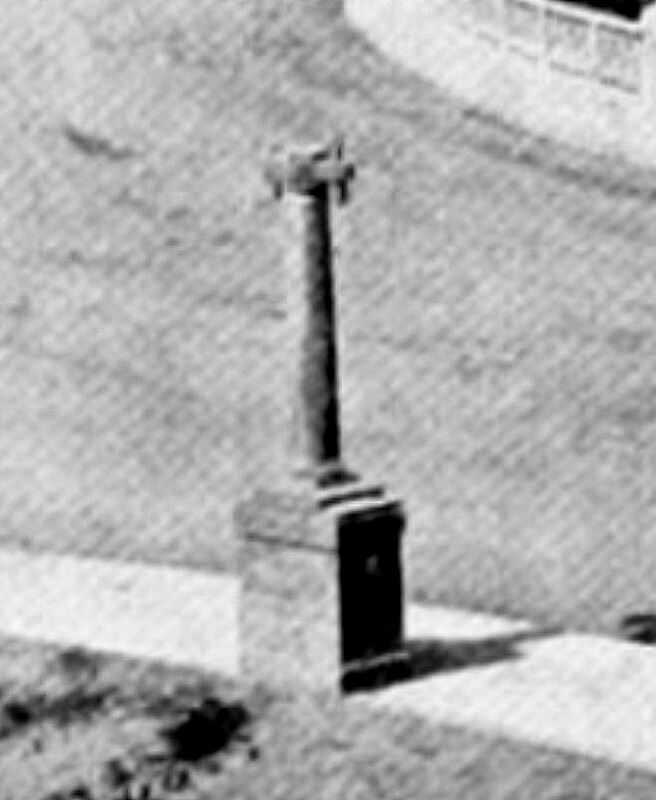 The photo that appeared in The Western Architect is at the top of this post. Here’s a postcard view that looks like it sat in the middle of a residential neighborhood. 6. 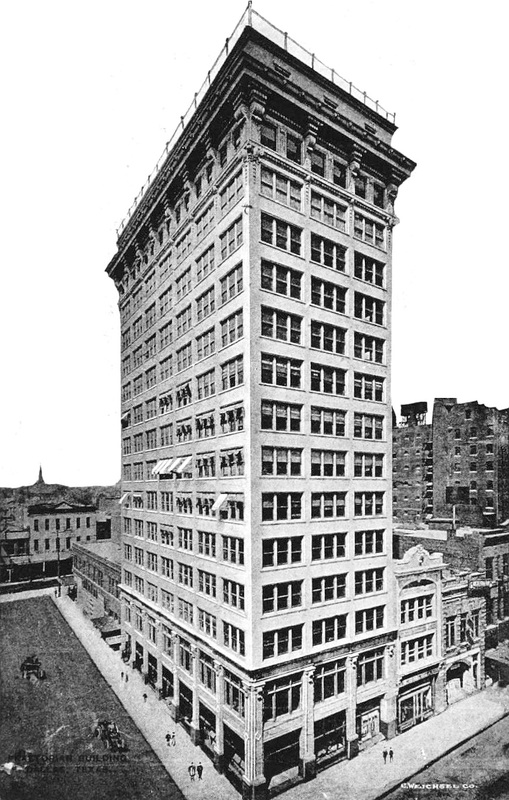 YMCA BUILDING, 1910 Commerce Street, near St. Paul, designed by Lang & Witchell. 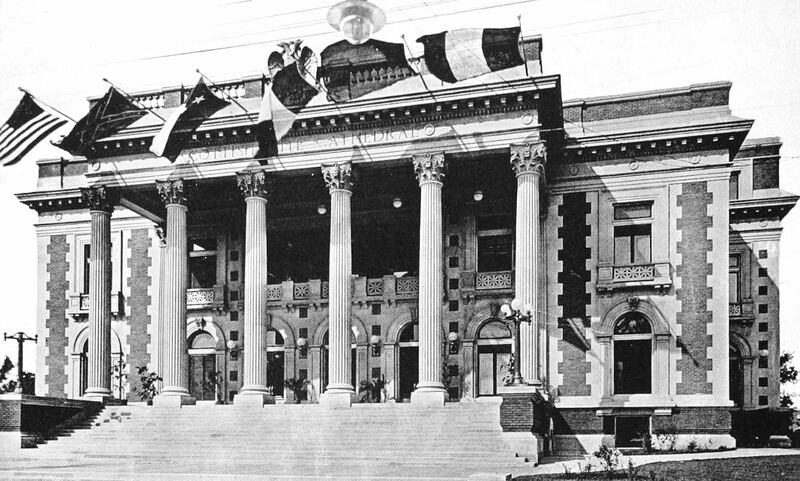 This building was built somewhat sporadically (when money was available) between 1907 and 1909. After the Y moved to larger digs, this building became home to the Savoy Hotel (which I read about several years ago and seem to remember it sounding kind of seedy). 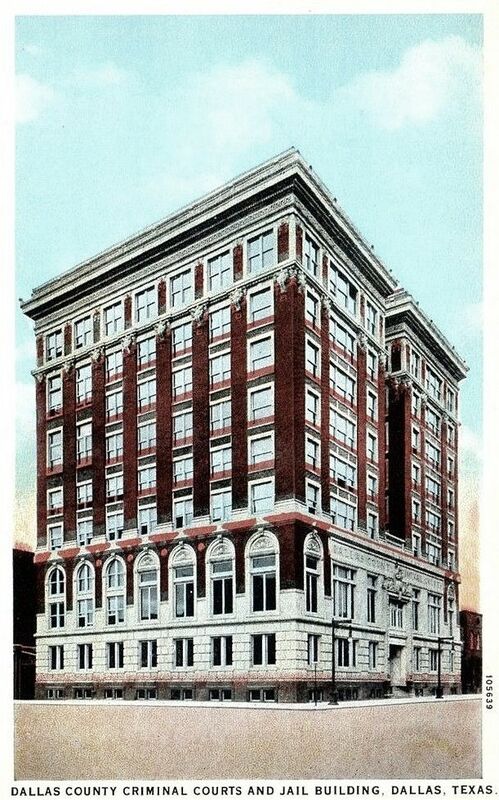 It was demolished in 1950 to make way for the much-delayed construction of the Statler-Hilton Hotel. 7. 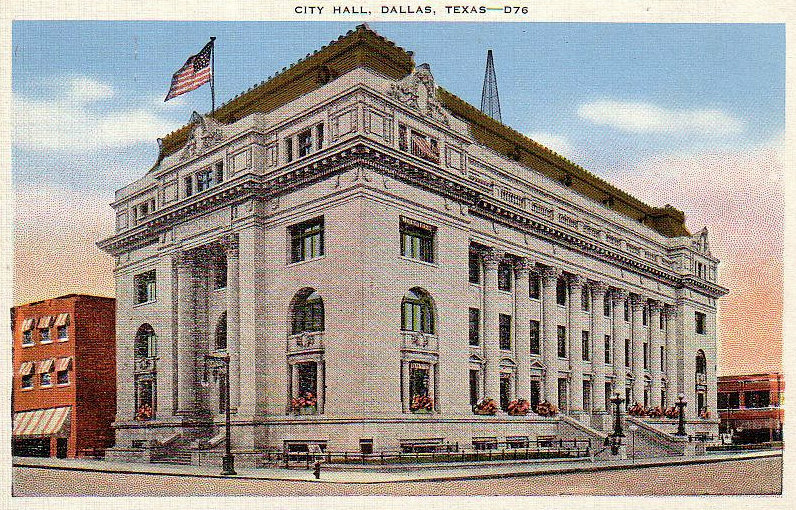 MUNICIPAL BUILDING, Main and Harwood, designed by C. D. Hill. I love this building, built in 1913/1914, and I wrote about it here. It is still standing and is currently undergoing a lengthy and loving restoration. 8. 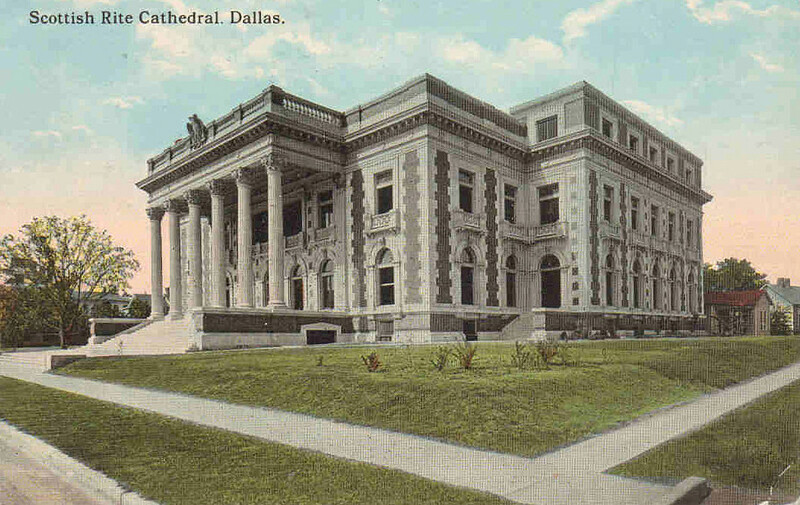 DALLAS COUNTY CRIMINAL COURTS AND JAIL BUILDING, Main and Houston, designed by H. A. Overbeck. I’ve also written about this still-standing building, which opened for business in 1915, here. 9. 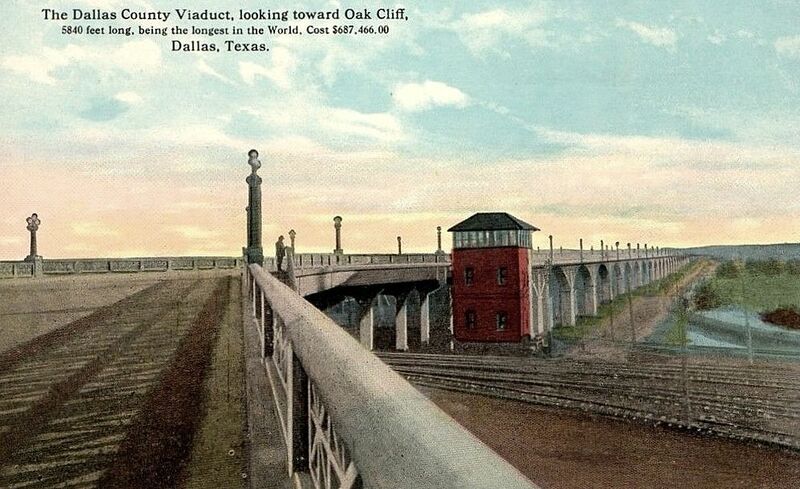 OAK CLIFF VIADUCT (HOUSTON STREET VIADUCT), designed by Ira Hedrick (Kansas City). 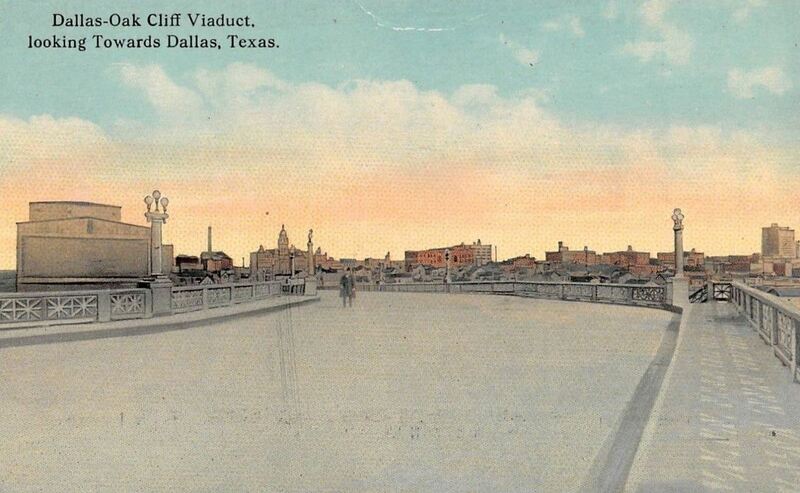 Dallas loves big things, and in 1912, the city really put on the dog in celebrating the opening of the word’s longest concrete bridge. I will write about this in detail one day, if only to go into detail about the good ladies of some organization who convinced the City Fathers to forego the christening of the viaduct with a bottle of champagne and, instead, celebrate by releasing homing pigeons (imported for the occasion from the far reaches of the state) with messages of “Hey, they opened a new bridge in Dallas today!” strapped to them as they were set off on their merry away during the dedication ceremony. Still standing. Still cool-looking. Took a while to figure it out — it was a street light.